I find it fascinating that out of the dozens of stuffed animals we have, the puppy finds the moose ones most attractive. 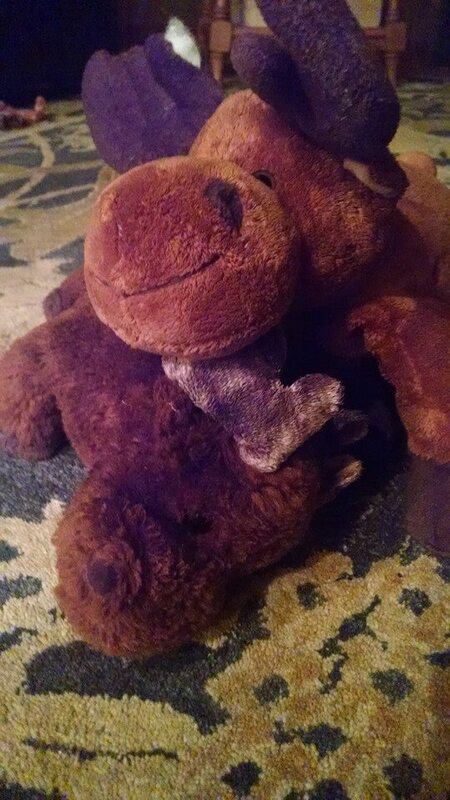 (Our youngest wanted a moose for Christmas one year and I found a bunch of stuffed animal moose for a $1 each at the thrift store and decided they’d be an excellent gift from Santa.) They’ve been much loved but are unlikely to survive the puppy. ← Does your dog prefer to be petted or praised?